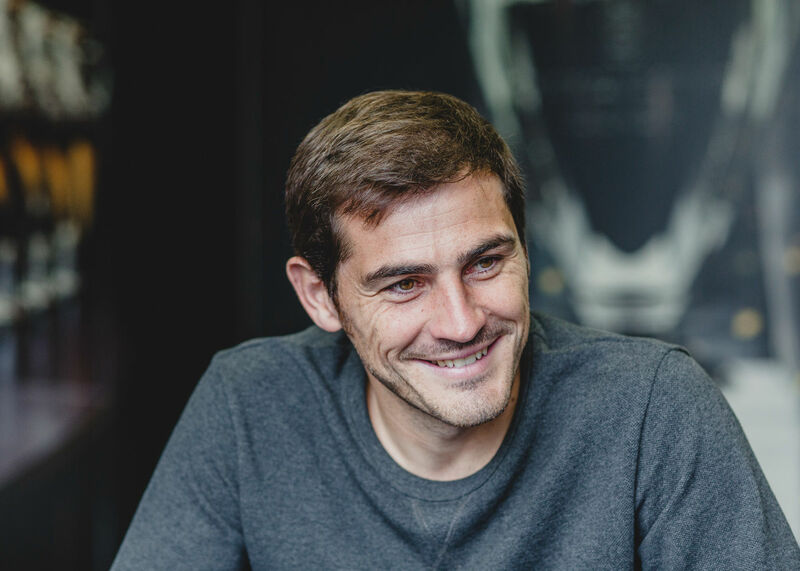 In advance of Real Madrid’s fixture with Liverpool in the Champion’s League, I went to Valdebebas with writer Sid Lowe to meet club favourite and Spain national team captain, Iker Casillas. Sometimes on shoots like this, time is of the essence, and you have to pull a rabbit out of a hat to get a good portrait! After the interview was over, I had 90 seconds to get something worthy of publishing. 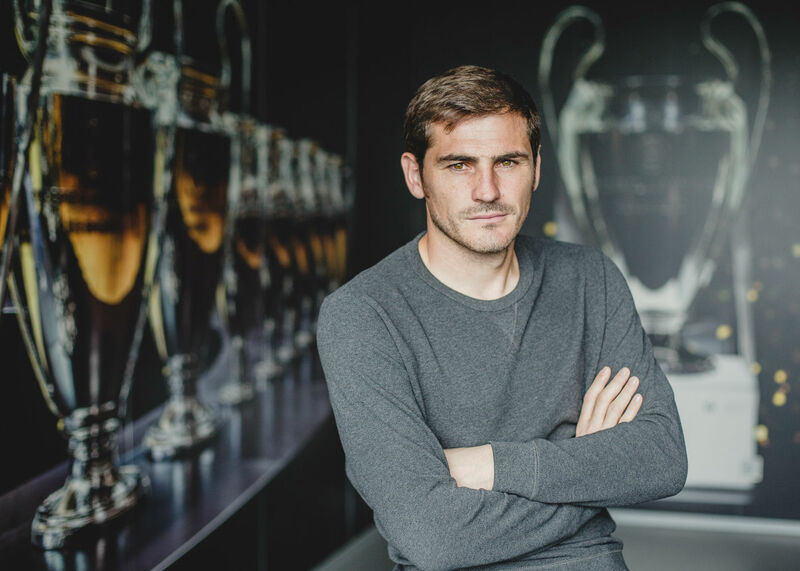 Fortunately Iker was wearing a neutral jumper that complemented the backdrop of the media room, a representation of the 9 European Cup titles won by the club. With some diffused window light and a 50mm lens, I was pretty happy with the images that I came away with. 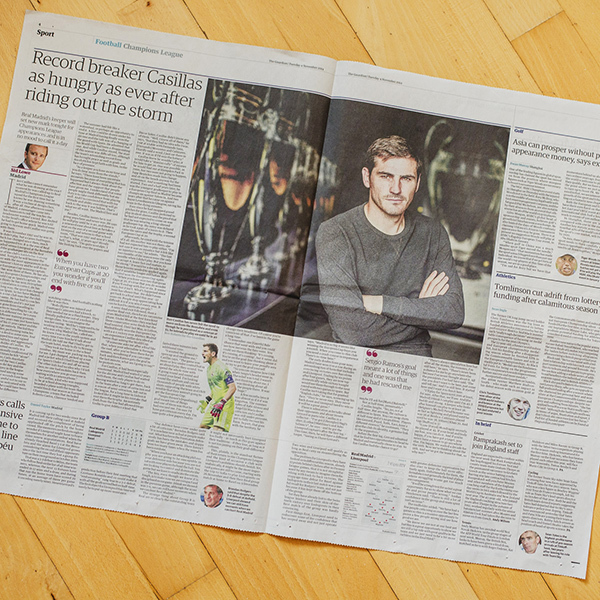 The Guardian ran one of the photographs across a double page spread, alongside Sid’s interview which you can read here.